A solar project located on Route 132 in Sharon is finally operational. In May 2016, Norwich Solar Technologies, a company based in White River Junction, applied to the Public Service Board (PSB—and since renamed the Public Utilities Commission) to authorize the installation and operation of a 500kW group, net-metered solar electric generation facility, which would sit on about two acres of land. “We are currently completing final commissioning and testing. We expect to be done within the next several weeks,” said Joel Stettenheim, president of Norwich Solar Technologies, a year and a half after having first introduced the project to PSB. The project took a long time to finalize because of the selected site. The site for the array sits on the border of the Day Farms Historic District, one of only a handful of historical landmarks in Sharon. Even though Norwich Solar Technologies reconfigured the layout and agreed to provide additional native screening to minimize the impact, it would have on the historical site, the Sharon Selectboard argued that the project would still have an impact on the scenic beauty and aesthetics of the Day Farms District. The three selectboard members at the time filed a motion to intervene in the PSB’s review of the application. Locals and neighbors also filed comments with PSB, arguing that the location was not appropriate for such a project. In September 2017, the PSB issued a certificate of public good, concluding that the issues raised by local officials had been resolved by the reconfiguration of the layout and vegetation screening. David Holmes, who owns property adjacent to the project, was initially reluctant about it. When interviewed in May 2016, Holmes said that even though he would prefer to see the land preserved as pasture, he still argued at a community meeting in favor of the project. He pointed out at that time that because Sharon doesn’t have zoning laws in place, an individual could put anything on the land that might have a greater impact on the historical district. When interviewed again after the completion of the project, Holmes said that now that the project is up and running, he is happy about it. “I thought we would see more of it than we actually see,” pointing out from his living room window where behind his barns, about four rows of solar panels are facing the road. The power from the array is going to a collection of local businesses: Vermont Maple Solar, The Woodstock Farmer’s Market, and All Serve Self Storage of Wilder. 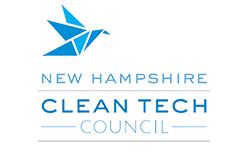 The Town of Sharon will also benefit from the project, receiving 5kW (equivalent to about $1,500) as an annual credit from Norwich Solar Technologies, as well as onsite educational signage about the array and historic district.